Fraleigh's work seeks to unearth invisible histories and dormant narratives of women in art history. Her paintings support a lively choreography of marks and paint applications. 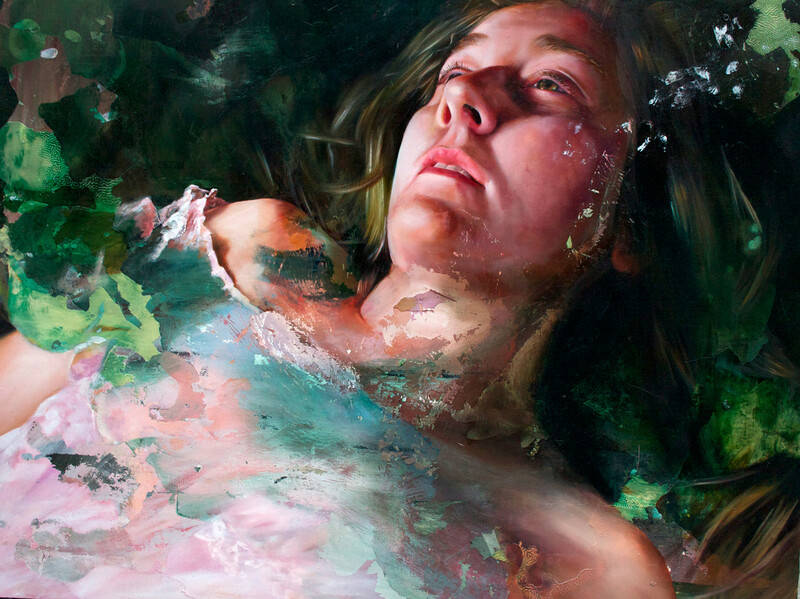 Each work begins with a basic, loose compositional structure upon which she pours varying mixtures of oil paint, going back and forth and losing parts of the original idea until "letting the paint take over feels like a collaborative process….violent and seductive, threatening and unpredictable, it complicates the image, leaving us unsure if the figures are being birthed or eaten away." In You Weren't Haunted Those Two Days You Were Filled With Light, dried paint puddles and sags in places like fleshy mounds. These wrinkled patches catch glistening oil glazes and sparkle like jewels. In other spots, the paint is scraped raw, creating wounded layers that reveal underlying color. In Fraleigh's work, the elements and techniques used to create illusion also carry meaning. In a clot of paint or a digging passage of incised paint, much can be inferred about tenacity, tenderness and human persistence.